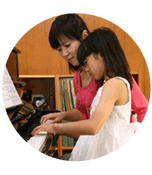 Piano Lessons Singapore - Engage An Awesome Piano Teacher Today! 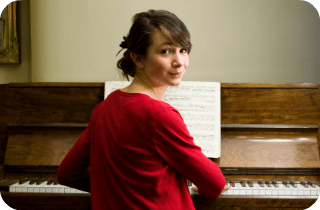 Affordable Piano Lessons For Everyone! 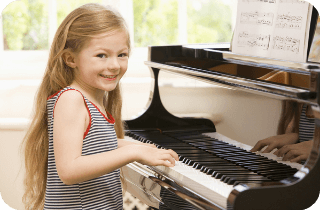 Why should you have piano lessons with us? Qualified piano teacher (both English and Chinese-speaking available) guaranteed! Private lesson customized to suit your needs (graded exams, leisure, pop, classical, specific songs). Lesson at your preferred timing and location. Offers free matching service with No Hidden Cost, No GST. 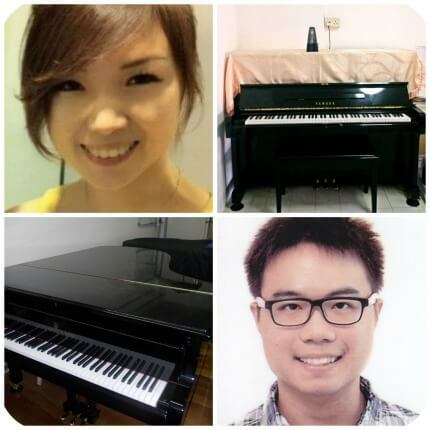 With cheap piano rental scheme available, you can rent a quality piano at SGD60/mth only! Just let us know that you need a piano when you register piano lessons with us. Our piano teachers have achieved at least a Grade 8 level in practical from ABRSM or Trinity College. They are professional and experience in piano lessons. Due to high volume of enquiries, our piano lessons slots are available on first come first serve basis. Kindly book your slot early to avoid disappointment. 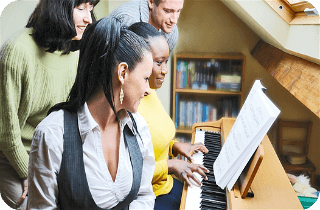 If you do not have a piano and have no intention of getting one anytime soon, you might want to consider learning at our Awesome Piano teachers’ place instead. In fact, we do have students who have pianos at home, but still head over to our teachers’ place for the lessons. One of the reasons is due to convenience, perhaps it being nearer to where their office or school is located. More importantly, our teachers tend to have better quality pianos and also more conducive learning environments. This can help the student’s learning to be more efficient and productive. Take a look below at the profiles of our teachers and their availability. If you are keen in a specific slot, do let us know as soon as possible. These days, more parents are getting their young children involved in the arts such as learning a new instrument or dancing. When it comes to musical instruments, piano courses have continued to be the top flight (alongside guitar, violin and keyboard) over the years. It is easy to get a piano teacher. But getting a good teacher is always a hassle for many people. It is important to engage a piano teacher from reputable piano lessons company who screen and rate their profile for you. This can save you time, money and hassle. With over 200 passionate piano teachers working with us, Awesome Group is committed to provide quality and effective piano lessons to all ages. You can have lessons at home (we have affordable pianos for rental if you require) or travel to teacher’s home/studio for piano lesson.